Penguin Time For Me & You! 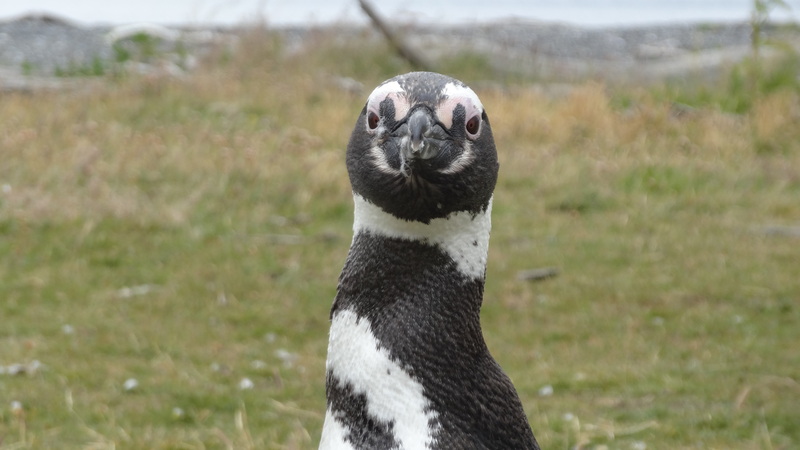 Today we traveled far and spent all day with Gentoo, Magellanic and King Penguins. There were thousands of these magnificent creatures and I have the penguin poop on my pants to prove it! They were nesting and raising their young all around us. If you sat still they came to investigate you, pick at your clothes, and seek a reaction. For me…..pure heaven! It is late now, but I could not resist posting a few photos. Tomorrow I will sort and organize and post more photos, but for now, take a peek….and be glad such lovely creatures are still in the world. To meet them up close and personal, is to fall in love with them completely. ← Climbing Glaciar Martial Tierra del Fuego Patagonia! Pretty adorable in both looks and personality! So delightfully curious! I took the ‘You’ in the title personally! COOL! 😀 Fae. Yes! These penguin posts are for you! You will have to return so you can visit them. They are waiting for you!!! Such delightful animals! Thanks for appreciating them! 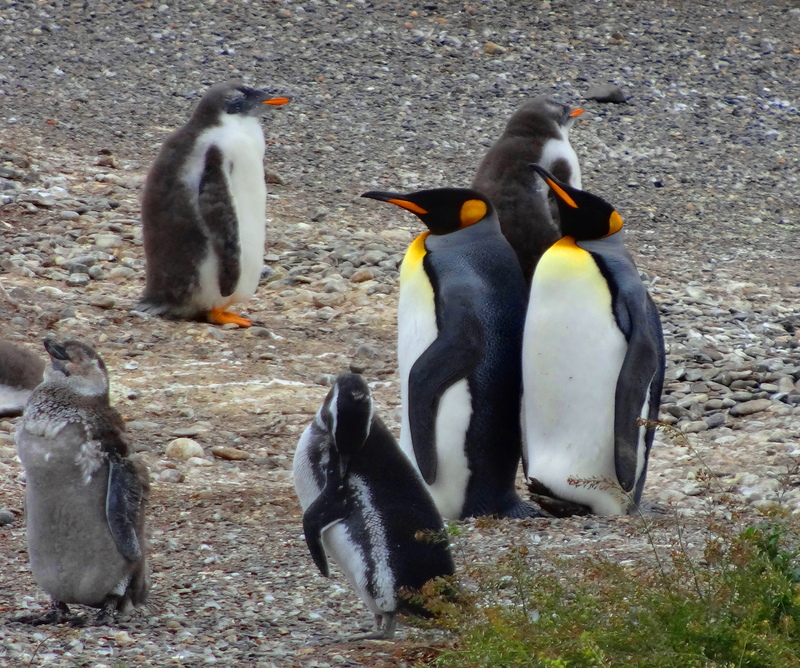 Wonderful photos – as I mentioned in another posts I do love penguins. I am really enjoying the pictures! These will be the last I post, but I have lots of entertaining shots of these marvelous creatures. Thank you for appreciating them! I had a professor go to Antarctica and he said that the penguins follow you all round and when you leave they sit on the shore waiting for you. So sad! Absolutely true! They flirt with you and are so charming. They want your attention. Lots of them jumped in the water and tried to follow us when we left in the zodiac. I do remember in Antarctica that much of the wildlife seemed tame. Except for Japanese whalers, humans were not their enemy. I suspect this is how nature is supposed to be. Yeah I think your right! It’s sad all animals lines are not so clearly written. Fascinating both for you and the penguins. 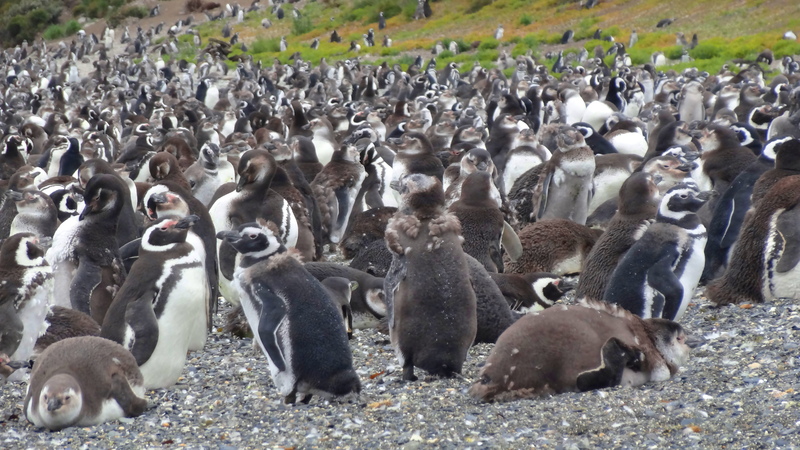 Do you notice a penguin odour when they are gathered in their thousands? Virtuallly no odor which suprised the heck out of me. I forgot to ask the biologist for the explanation. I have smelled the odor before! Interesting. Perhaps, en masse, they cancel each other out. Who knows, but it is interesting! Muchas gracias. They are quite amazing! You, like myself would have been in heaven here. They are just lovely creatures! What an astounding adventure! They came right up to you? wow. Definitely. Followed me around. They were very curious. Unafraid. Friendly little guys. A bunch jumped in the water when the zodiac left and tried to follow! Oh, my, gosh — poop or not, that would be the best experience!! They are so CUTE! You must have had the most amazing time — so jealous! Gorgeous pics! Those penguins would have sat in my lap. I swear they wanted to go back with us!!! SO delightful!! Gorgeous photos!! Thank you so much for sharing them. We’ve really been enjoying our journey! So very glad and thank you! Creator loves you for your love of creation, after all you are a creation from Creator? You sir are very kind! Thank you. They are even more endearing in person!! 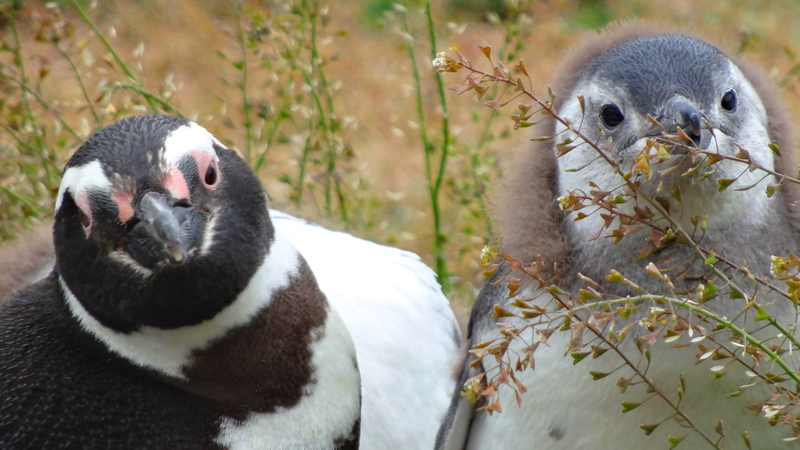 Peguins are guaranteed to provoke a smile. So cute. They are charmers alright! So glad you think so too!